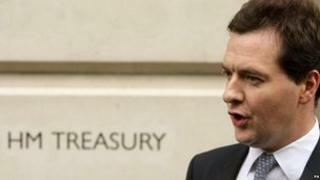 Regional pay: George Osborne's public sector plan dead? Labour chose to dedicate a Commons debate this week to Chancellor George Osborne's plans for regional pay in the public sector. But if you studied the newspaper headlines this week, you would think it is an idea that is already dead in the water. Reports suggest the Liberal Democrats will block the plan, and some of the north's Conservative MPs have also registered their disquiet. It's hardly surprising that northern Tories are uncomfortable with the concept. All the indications are that regional pay would extend pay freezes in some regions for years to come. Eventually it would see the likes of nurses, teachers and civil servants paid less in the north east than they are in the south east. Try selling that to your constituents. But despite all those headlines and behind-the-scenes mutterings, Francis Maude didn't hold up the white flag of surrender during Wednesday's debate. He pointed out Labour had introduced local pay variations in the Courts Service, but then he adopted a rather contradictory line. On the one hand he said the government wasn't planning to abandon national pay bargaining, but on the other said there was scope for investigating whether public sector pay could become more "responsive to local pay markets." That is why he said no decision will be taken until the chancellor receives a formal response from the various public sector pay review bodies. But the Cabinet Office minister went on to make the case for why some form of regional or local pay could actually be good for regions that suffer from higher-than-average unemployment. He said: "A one-size-fits-all system for public sector pay could limit the number of public sector jobs that could be supported in lower cost areas. "It militates directly against the relocation of public sector jobs to more deprived parts of the country. "Private employers looking for staff to set up or grow their businesses might need to compete with much higher public sector wages. The evidence has yet to be examined, but the public sector could be crowding out the private sector in that way, and holding back the private sector-led recovery that the economy needs." So in theory holding down public sector pay somewhere like the north east could see more government jobs relocated there, and more private sector jobs created. But the crucial part of that sentence is 'in theory'. The evidence for that idea is scant and at the very least inconclusive. Instead many northern MPs believe the idea would accentuate the north-south divide by further depressing regional economies. In the debate, Easington MP Grahame Morris said: "Rebalancing our economy for the future and addressing the north-south divide should be a government priority. "However, these proposals for regional or local pay differentials - whatever the terminology - would simply entrench that divide." And Labour MPs found an unlikely ally in Hexham Conservative Guy Opperman, who was one of the first northern Tories to come out against the idea. He said the evidence for it was obscure and unconvincing. He added: "It is not supported by businesses in my constituency, none of which has come to me to press for it. "I have always said that I will put the north east first, and defending the pay and conditions of public sector workers in this economic climate is just as important as, if not more important than, building up the private sector. "We need to be a one-nation coalition, and our focus should not shine too brightly on London and the south east. We should represent all the people in our constituencies, from the dinner lady to the gentleman who employs 200 people." And he's not alone amongst northern Conservatives. Carlisle's John Stevenson, Penrith and the Border's Rory Stewart, and Stockton South's James Wharton have all expressed various qualms about regional pay recently. Add to that the disquiet from Liberal Democrats like Alan Beith in Berwick, Ian Swales in Redcar and Tim Farron in Westmorland and Lonsdale, and there seems little or no coalition support for it in the north. Is that enough to kill it? Possibly not, but it probably puts several nails in the idea's coffin. I suspect the chancellor would be keen to pursue the idea if he could, as it could make it easier to keep the public sector pay bill down. But it looks like he would have to push through a huge wall of opposition. I have some doubts the Conservative leadership would be keen to have that battle.